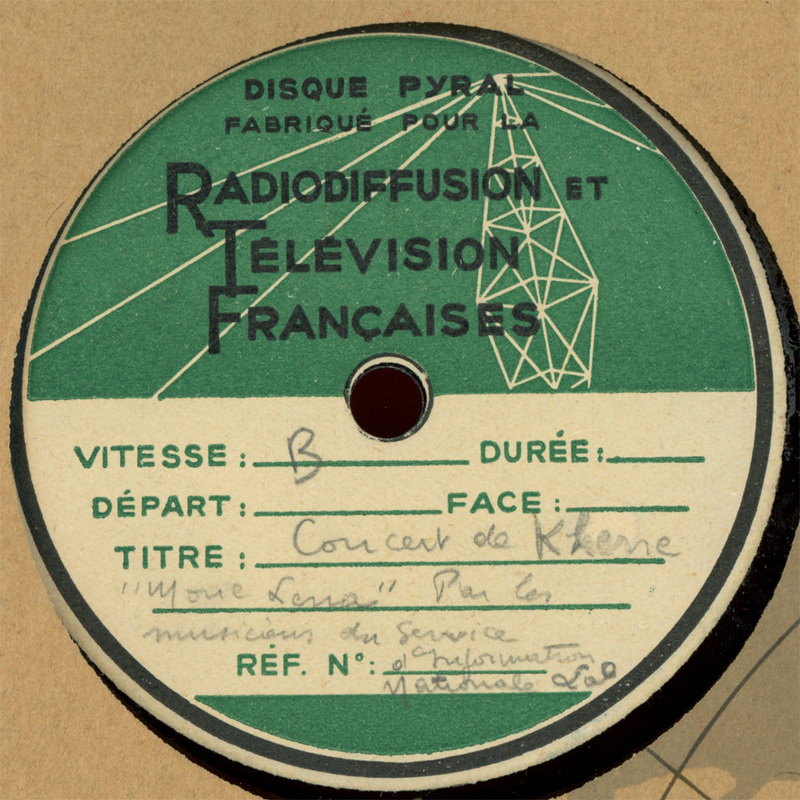 Here’s a beautiful record of mohori music from Cambodia. Mohori is a traditional Khmer ensemble, but the name also refers to the repertoire. There are different size ensembles, with different combinations of instruments consisting of flutes, fiddles, xylophones and percussion. The label says kreung ksai, meaning string ensemble. The name Sak Som Peo on the right is most likely the name of the group or school. 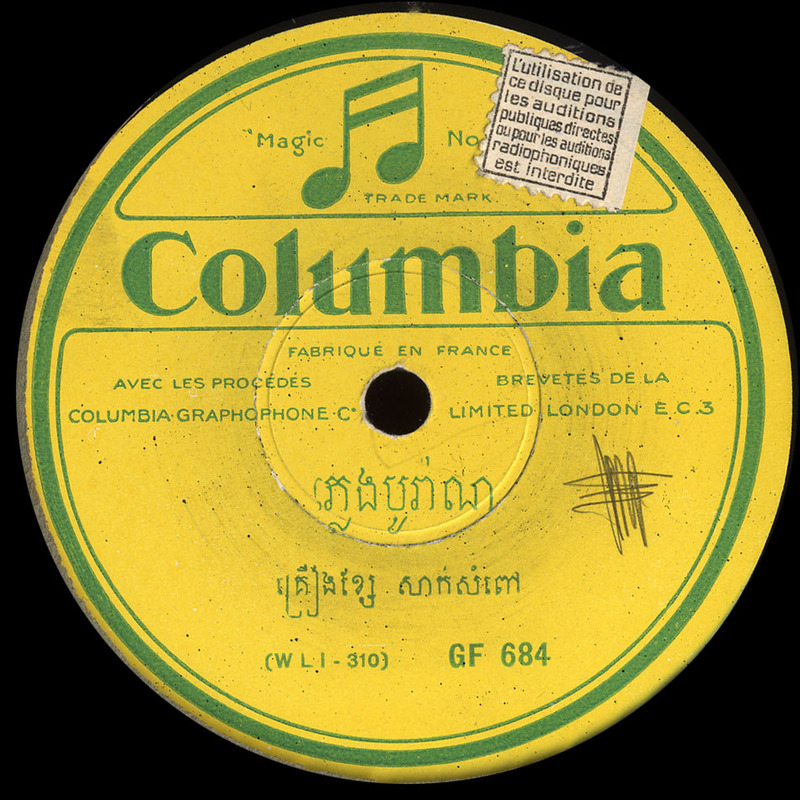 The name of the song is Pleng Boran, meaning “Music from the Past”, which turns out to be more true than the musicians who recorded this in the 1940s could have guessed, songs like this disappeared with the many musicians who were brutally murdered by the Khmer Rouge. Special thanks to Prof. Terry Miller (again) and Bee, a great Khmer musician. Here are his youtube performances.